Yasser El Kady, Chief Executive Officer, ITIDA, says that the agency, which was formed in 2005 to promote Egypt’s growing IT sector, has a renewed focus, and new aspirational targets for growth. “We are more aggressive, we are focusing on aspirational growth, and I think we are going in the right direction,” he says. ITIDA has a wide ranging remit to support Egypt’s ICT sector, particularly in the areas of outsourcing and offshoring, and in software development. The agency has brought 80 companies to GITEX this year, including companies in systems integration and hardware assembly, to promote the sector and give the message that Egypt is definitely still ‘on’ for business. 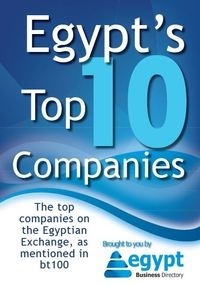 The agency has set aggressive new targets for growth, including developing the outsourcing/offshoring industry in Egypt, which currently provides 60,000 jobs and accounts for $1.3 billion in business, to become a $7 billion business by 2016, and trebling software export over the next three years. El Kady says that during the unrest earlier in the year, ITIDA proactively worked with the ICT sector, with multinational customers and clients, to reassure and support them. The agency also carried out outreach activities, including visiting major outsourcing clients in the US. “During the revolution, ITIDA did a great job in communicating with the multinationals, supporting them, helping them. People were very appreciative that a government entity was doing this, and it was the starting point of building a trusting relationship with them,” he says. The ICT sector in Egypt is now thriving, El Kady says, with a deal with a major multinational outsourcer, that will create 20,000 jobs in the country, due soon, and with several companies looking at acquisitions of Egyptian companies. ITIDA is also working with 100 companies in the country, focused on verticals and Arabic language software and content.